Dapper Day is right around the corner and I am soooooooo excited to be going to my first ever Dapper Day at Magic Kingdom! I have always dreamed of going to Dapper Day and dressing up all fancy and vintage. If you don't already know, Dapper Day is an event that happens twice a year at Disneyland and Disney World resort. Essentially the event lets people show off their Disney style while channeling vintage fashions. Basically everyone Disneybounds but it is all inspired by 50's, 60's, and lots of other decades style! Just type in Dapper Day into Pinterest and you'll get the gist. People wear gorgeous dresses with fun vintage hats and accessories to create their Dapper Day look. So, today I wanted to create a few fun Dapper Day looks to help you get inspired for Dapper Day. Don't fret if you can't make it to Dapper Day this year. I literally just happened to plan a trip while Dapper Day will be at Disney World (boy I am LUCKY!). 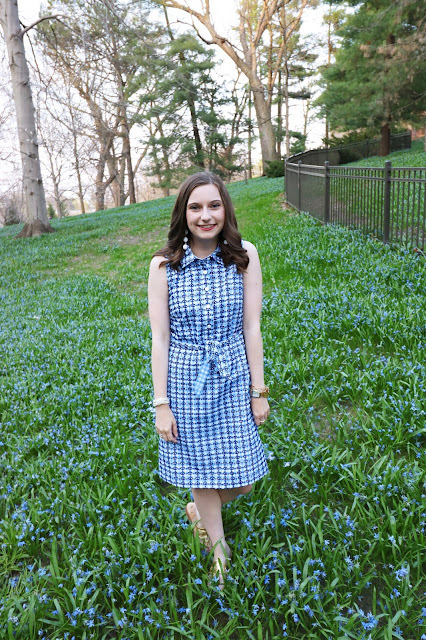 You can channel so Disneybound and vintage vibes from wherever you are. Simply change up the dress or accessories to what you already own to create your own Dapper Day inspired look. All of these looks were created with a base dress that was a solid color. 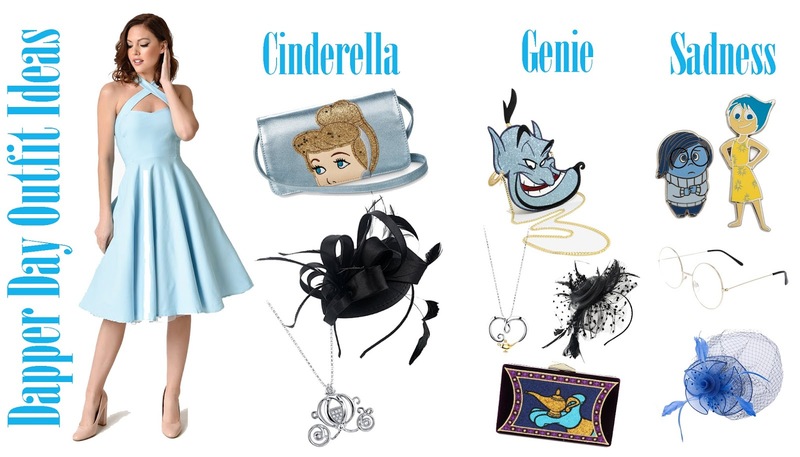 To create a look for your favorite character all you have to do is get a dress that matches their appearance colors and pair it with fun accessories like pins, jewelry, and more! When I think of red I instantly think of Mickey! 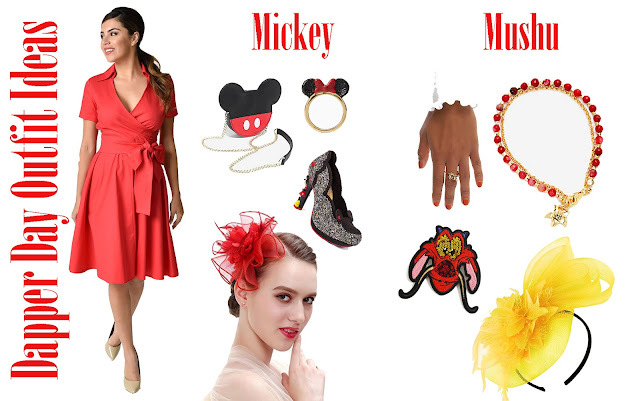 Mickey is a super easy Dapper Day look to create, and you most likely already have some fun Mickey accessories to use. But, I wanted to create a Mushu Dapper Day look as he is a little more of an obscure character. If you ironed on this fun Mushu patch from Boxlunch to your dress it would add such a fun touch! The amount of blue Disney characters is kind of endless. But, Cinderella is always a safe bet. Genie and Sadness are also fun ideas for a fun blue look. It's tough being green as Kermit the frog would say, but I have to say these green Dapper Day ideas are my favorites! I LOVE Mike Wazowski and I am living for this Dapper Day ensemble. 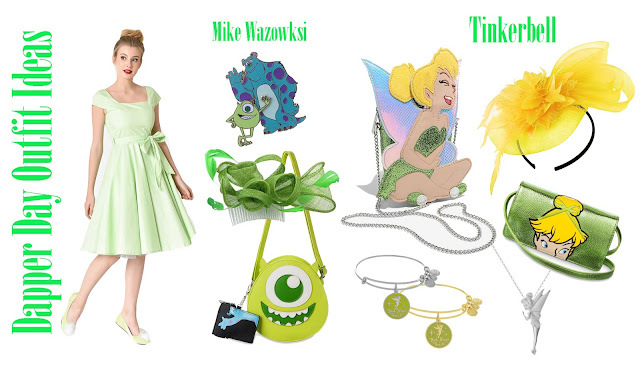 Tink is also another great option and there are a ton of fun Tinkerbell accessories you could pull in to create your look. I hope you learned a little more about Dapper Day today and found some Disneybound style inspo! I've never gone to a Dapper Day so I am very excited to see what all of the buzz is about at Magic Kingdom's Dapper Day on April 28th! Although Dapper Day is bigger at Disneyland I'll settle for a Disney World Dapper Day this time. Who knows maybe I'll get to go to Dapper Day at Disneyland someday! Are you heading to a Dapper Day this year? Let me know who you are going as!